Next in my KitchenAid Mixer Series is a fun new vinyl design for my mixer and also a bowl cover tutorial! To add the glitter vinyl decal to my mixer I used Glitzy Glitter Vinyl from The Buckle Boutique and I purchased the design for my Silhouette Cameo Machine from the Silhouette Design Studio. 1. 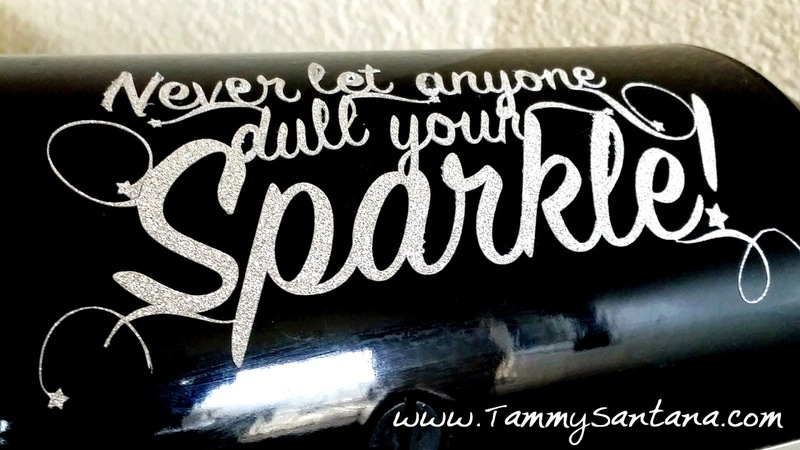 Cut the design of your choice from the vinyl with your Silhouette Cameo Machine. 2. Carefully weed all of the extra Vinyl out of the design and use transfer tape to take it off of the backing and carefully transfer it to your mixer. So easy and how cute is my mixer now! 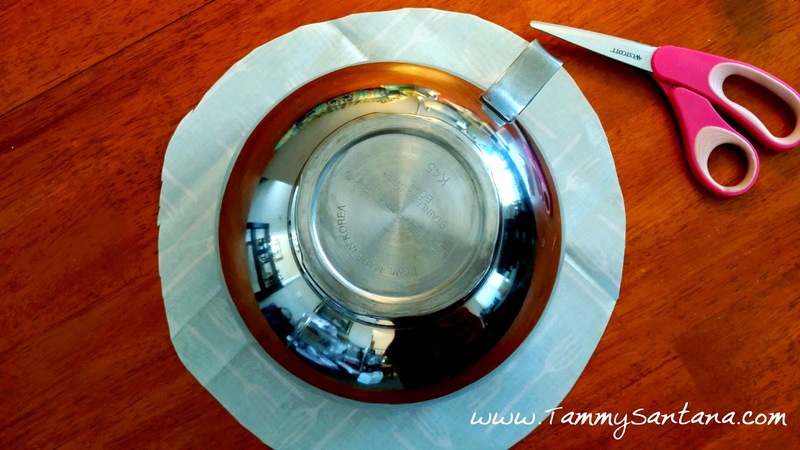 Next, it was so easy to make a bowl cover for my KitchenAid mixer! I just made up my own pattern as I went along and it turned out great! If you would like to make one for your mixer just follow the steps below. 1. 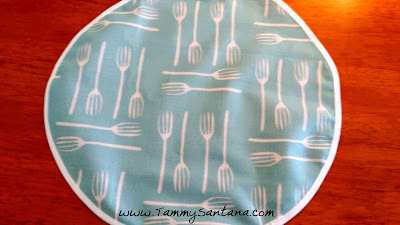 Fabric of your choice...I am using a really cute print from Laura Bray Designs called "Fork It Over"
4. 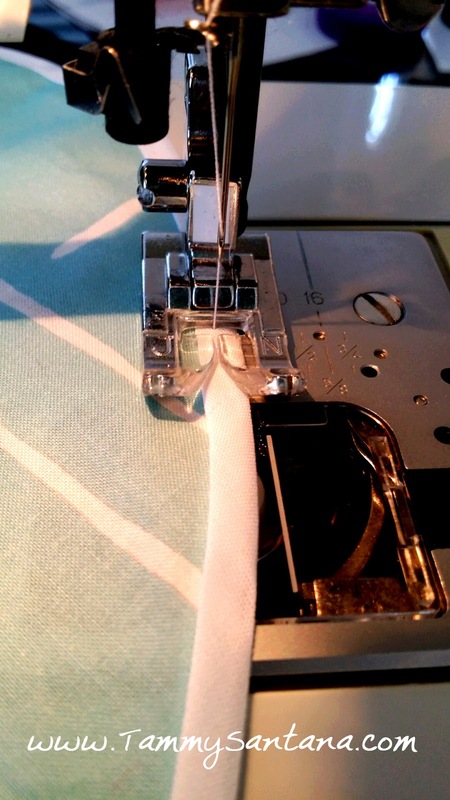 1/2 inch non-rolling elastic. 5. Trims of your choice. 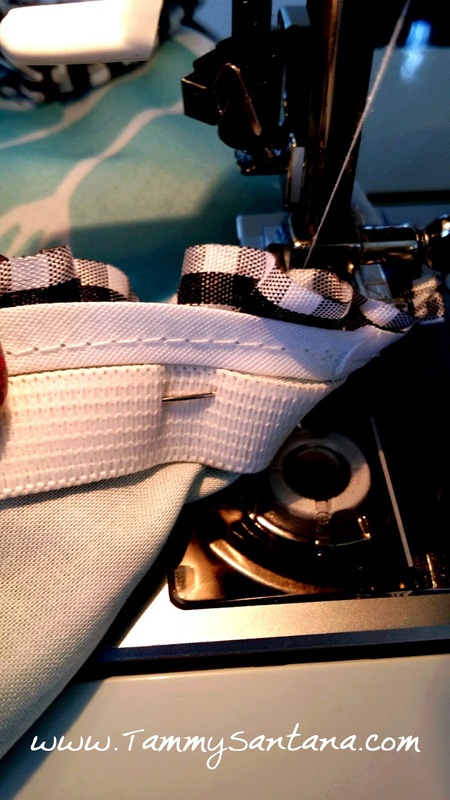 I am using a cute black and white check print and some mini ball fringe trim. 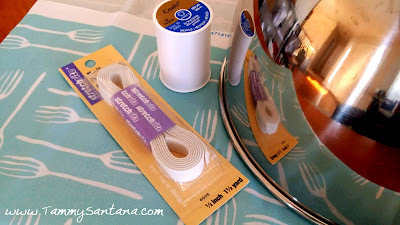 Just use your bowl as a guide and cut a circle about 2" larger than your bowl to allow for elastic and trim. 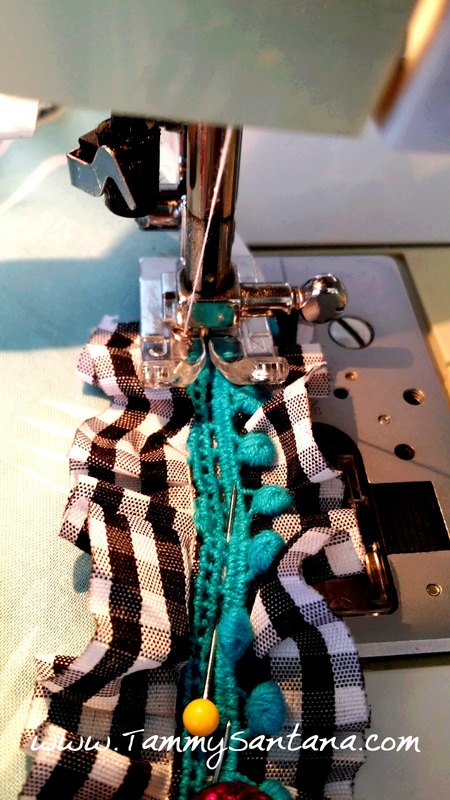 I sewed double fold bias tape around the rough edge of the fabric to finish it off nicely. Then I sewed cute decorative trim around the edge of the fabric. 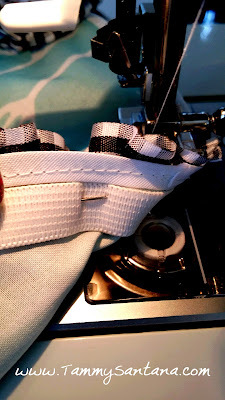 Then I sewed the elastic to the bottom of the circle stretching it out as I went along to form the stretchy bowl cover. All finished! 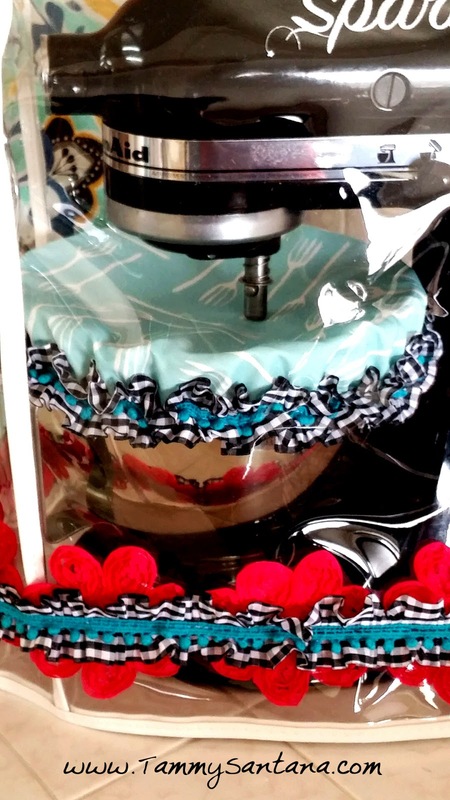 How cute is my bowl cover under my matching mixer cover? Stay tuned for my matching mixer cover blog post coming soon! 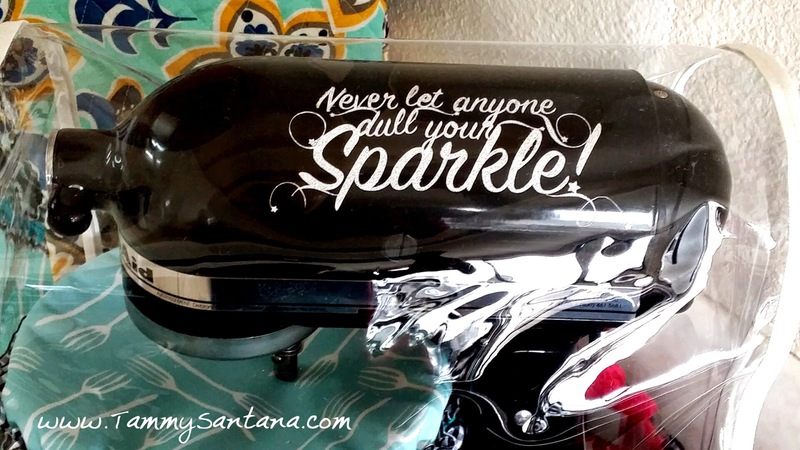 Really cute bowl cover and I love the Sparkle you added to the mixer!